Obv. : I O M CAPITOLINVS, Jupiter bust l., bearded, diad., and dr.; in front, small pal-branch. Rev. 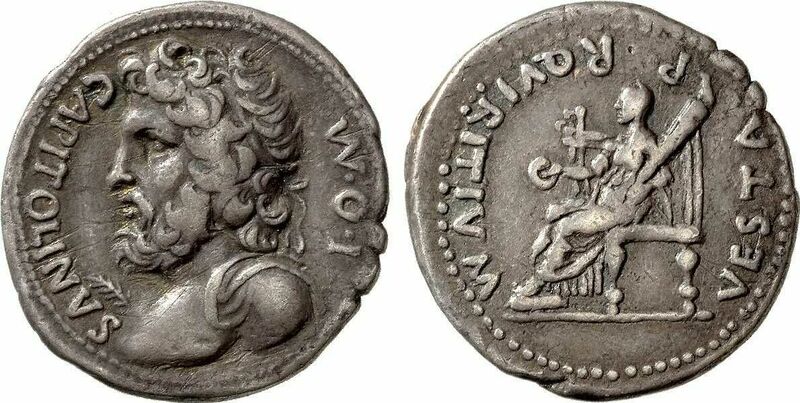 : VESTA - P - R QVIRITIVM, Vesta, veiled, seated l. on throne, r. holding patera, l. long torch. RIC² 125a (C); AM 96; BMC 72; Ox.